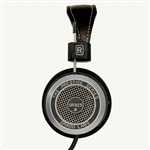 When you can't blast your music around the home or office, explore the alternative with our selection of audiophile headphones. 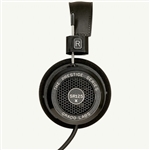 These headphones are meticulously designed for the highest audio reproduction quality. Each earpiece has complex parts and circuitry helping it to translate the music from the source of your choice into your eardrums in its original sound quality. 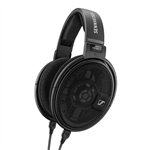 Whether you prefer digital sound from CD and SACD players, listen from a vinyl source, or stream your favorite music from Tidal, TTVJAudio.com has the premium headphones for portable, home, studio and office use to match your specific needs and demands. 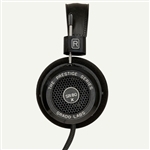 Here you will find the highest quality headphones from some of the best brands in the business, including Grado, Sennheiser, Focal, HiFiMan, Audeze, and Mr.Speakers. 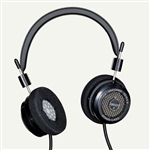 Looking for open or closed back headphones, in-ear canalphones, portable headphones, planar magnetic or electrostatic headphones? Todd the Vinyl Junkie has got you covered with the most comprehensive selection of the best sound quality headphones to choose from! It's now time for you to explore our stock as rich music fills your headphones and takes you on a ride.